Submit three to five original scores (including one handwritten example) as well as recordings. *Recordings can be uploaded as part of the Audition Request application and/or if mailed, provided on either a CD or flash drive. **The SOM recommends applicants send materials Priority Mail – this service includes a USPS Tracking number to confirm delivery. International applicants should choose a comparable service that provides a tracking number for delivery confirmation. Composers should submit several compositions demonstrating considerable ability and achievement in creative work. Audio/video files of these compositions can be submitted online to in the completed the Audition Request Application due December 1. In order to be considered for the Nordan pre-screening in composition, scores must be received by November 15 as explained in the undergraduate composition requirements listed above. Learn more about Nordan Young Artist Award requirements. Submit two to three examples of analytical writing to the Audition Request application. At least one example should deal with an arts-related topic. Learn more about music theory/composition at TCU. Complete all University and School of Music application requirements. In addition to School of Music entrance examination requirements, composers invited to campus are tested in the areas of keyboard literacy, orchestration, and counterpoint. The results of these exams are factored into the admission decision. 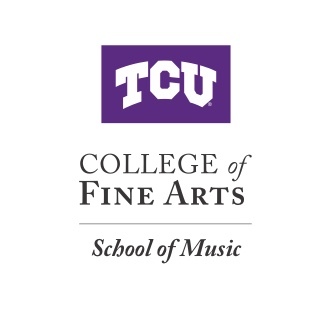 All applicants applying for composition are required to mail** their original scores to the TCU School of Music Office.